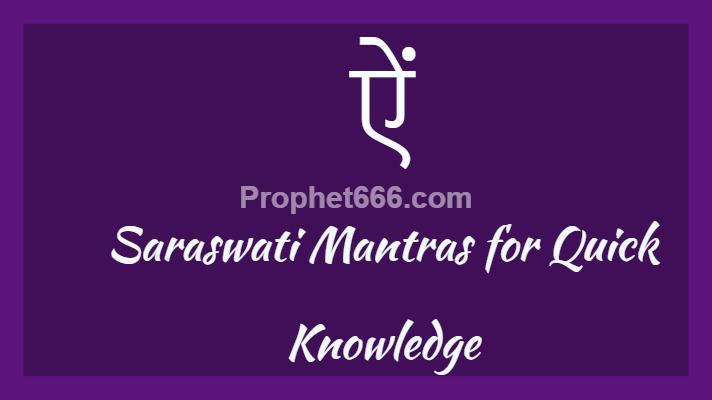 In this post, I have written about three very beneficial and useful Mantra Sadhanas of Saraswati Mata for quickly gaining any kind of knowledge, gaining the desired knowledge / expertise and the wonders of the magical Aim Beej / ऐं बीज Mantra of Saraswati Mata. The simple procedure of practicing each of these three Saraswati Mantra Sadhanas has been given below for the benefit of seekers of knowledge. Can this mantra help students crack the toughest exams? The mantra is only used in order to help you gain and retain knowledge easier. It doesnt magically give you the answer. But then again I only assume, I haven't done the sadhna, or hit 1 million times, so maybe. Try and find out.